Carry and move your Aqua Stack Mats easily at your side with the Shoulder Carrying Straps. Straps have quick release Buckles. 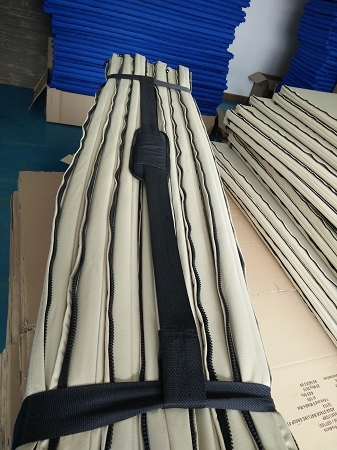 The Buckle Storage Straps opens to a large diameter, they can adjust to fit most roll up mats instead of using their velcro straps.